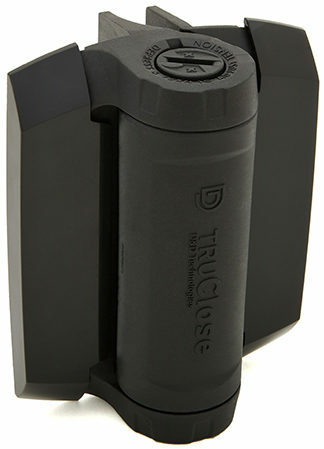 TRU-CLOSE® hinges are injection-molded from super-strong, reinforced polymer materials that are sturdy and durable. They are designed to last the test of time! D&D Technologies’ hinges are a revolutionary breakthrough in latching security for gates around homes, businesses, playgrounds and swimming pools. 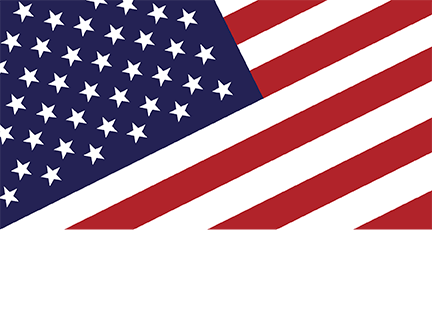 They are made to fit metal, wood, vinyl and chain link fences. Made from advanced engineering polymers with stainless steel components, each D&D item is backed by a limited Lifetime Warranty. One of the key benefits of D&D hardware is adjustability. Gates will naturally fall out of alignment over time due to ground settling or children “riding” the gate. 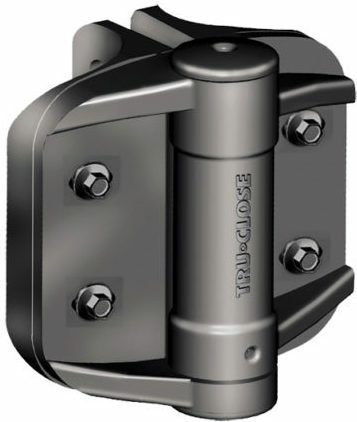 D&D latches and hinges are easily adjusted (self-closing tension, vertical and horizontal) which ensures critical gate latching. D&D Technologies Tru-Close Adjustable, Self-Closing Hinges TRU-CLOSE® hinges are injection-molded from super-strong, reinforced polymer materials that are sturdy and durable. They are designed to last the test of time! The materials used in D&D hinges are self-lubricating and UV-stabilized and provide strong, rust-free products that won’t bind, sag or stain! 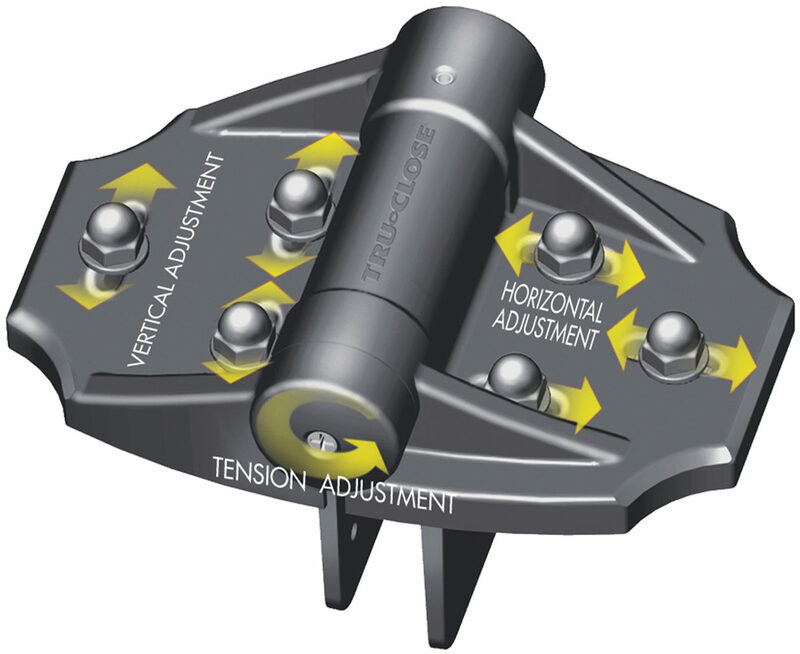 The patented, spring-loaded adjuster within the hinges allows quick and easy tension adjustment at the turn of a screwdriver.